Does sun exposure increase your risk of skin cancer? What are the best, and safest, forms of sun protection? Summer’s officially here, which means a whole lot of people are planning a whole lot of fun in the sun. Are these claims true, though? And are traditional forms of blocking the sun’s rays the right way to deal with potential risks? Sunscreens: More Harmful Than Helpful? What did you think of this article? Have anything you'd like to add? Let me know in the comments below! We’ve all heard the story many times before. “Many doctors believe” that sun exposure increases the risk of skin cancer, which is the most common of all cancers. Well, many doctors also believe that carbohydrates make you fat, fruit is unhealthy, and skipping breakfast makes you gain weight. So forgive my irreverent skepticism about their claims against the sun. So, then, if sunburns are the culprit here, not mere sunlight, all we have to do is coat ourselves in SPF 9000 cream on our beach days and we’re good to go, right? Couple that with the fact that the skin is an incredibly absorbant organ, and we really have to wonder: what kind of chemical concoctions are sunscreens, and are they a cause for concern? The first thing you should know is that many sunscreens are quite effective at blocking UVB rays, which are the rays most responsible for burning, but not are not nearly as effective at blocking UVA rays, which cause more subtle damage, including ageing. Spending hours in the sun covered in sunscreen still results in skin damage. Quite a few chemicals often found in suncreens do give a reason for concern. We simply don’t want them in our bodies. Certain chemicals like parabens, homosalate, octyl-dimethyl-PABA, 4-methyl-benzylidenecamphor, and octyl-methoxycinnamate mimic the effects of estrogen in the body. Such chemicals are known as endocrine disruptors, and as expected, have been shown to accelerate the growth of breast cancer cells. Many sunscreens contain known allergens, like p-aminobenzoic acid (PABA), PABA derivatives, anthranilates, salicylates, cinnamates, benzophenones, and dibenzoylmethane derivatives. Nanoparticles like zinc and titanium oxide absorb UV rays, but as a result, release free radicals in your body. It was once believed that these chemicals remained on the skin and weren’t absorbed, and thus posed no risk to humans, but other research has emerged that refutes these claims. In animal research, the application and illumination of these nanoparticles has been shown to alter DNA and increase the risk of skin cancer. Scientists dub these types of chemicals “photocarcinogenic,” meaning they can cause cancer after they are exposed to light. Some suncreens are advertised as “non-nano”, but these claims are misleading. Sizes of particles vary, but nearly all ingredients in sunscreens would qualify as nanomaterials under the general definition. More than 20% of sunscreens contain a form of vitamin A such as retinol, retinoic acid, or retinyl palmitate to purportedly slow skin ageing. According to research conducted by the US National Toxicology Program, these forms of vitamin A increase the risk of skin cancer when topically applied and illuminated. The SPF rating system is also problematic. Just like how people used to believe that “low-fat” meant a food was automatically healthier, many assume that the higher the SPF number, or sun protection factor, the better the protection. Ironically, the actual protection from the sun’s rays changes very little as SPF increases. SPF 50 will block about 98% of the rays, and SPF 100 about 99%. 100 is not twice as effective as 50, as many people assume, which is why the FDA said that offering high-SPF products is misleading. Not only that, but the higher the SPF is, the higher the concentrations of the troubling chemicals are. Yup, all a high-SPF product does is increase the health risk while providing basically no protective benefits. As if all the above isn’t enough to find alternative ways to protect yourself from sunburns, there’s more. Well, according to research published by the Center for Disease Control in 2011, 8% of Americans are vitamin D deficient, and 25% are considered “at risk” of a deficiency. Other research published in 2010 showed that nearly 70% of breast-fed babies were vitamin D deficient at one month, which can be particularly harmful considering how important this vitamin is in overall health and development. Now, when our skin is exposed to UVB rays, they interact with a form of cholesterol in the body to produce vitamin D. The more skin that is exposed to the sun, and the stronger its rays, the more vitamin D you produce. Research has shown that, with 25% of our skin exposed, our bodies can produce upwards of 400 IUs of vitamin D in just 3-6 minutes of exposure to the 12 PM Florida sun. If your diet is low in vitamin D, if you don’t supplement with it, and if you religiously wear sunscreen when you’re in the sun, there’s a very good chance you’re deficient, and will benefit from raising your levels. You can raise them by going in the sun a bit every day if possible, or by supplementing–there’s no evidence that once is ultimately “better” than the other in this regard. So if chemical sunscreens are best to avoid, how can we naturally, safely protect ourselves from sunburn? The easiest and most obvious way to prevent burning is to limit your skin’s exposure to the sun using clothing. For instance, a shirt provides SPF protection of about 5, which is, ironically, higher than under-applied SPF 100 sunscreen. A hat is an easy way to protect your face. Coconut oil applied topically helps prevent skin damage from sun exposure. It doesn’t block nearly as much radiation as chemical sunscreens, but if applied regularly, it can help extend the amount of time you can remain in the sun before having to cover up. Many people also buy non-nano zinc oxide powder to mix with the oil, which greatly enhances the UVB (sunburn-causing) protection. 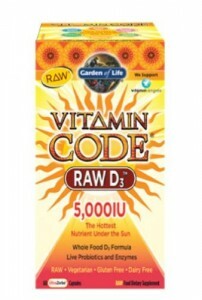 Make sure your vitamin D levels are in a healthy range. 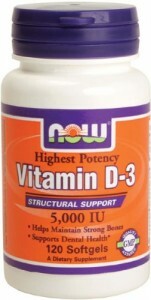 Research has shown that vitamin D increases sun tolerance and protection against skin damage. Nature’s characteristic elegance at work. Increase your intake of omega-3 fatty acids. Yet another reason to make sure you’re getting enough of these wonder molecules: research has shown that higher blood concentrations of omega-3 fatty acids protect the skin against sun damage and decrease the risk of sunburn. Increase your intake of antioxidants, whether by food or supplementation. As we would expect, the very nature of antioxidants protect the skin against sun-induced damage (they counter the effects of free radicals that result from sun exposure, and which cause sunburn). Increase your intake of fruits and veggies. Vegetables like tomatoes, carrots, sweet potatoes, spinach, and other dark, leafy greens all contain molecules (in addition to antioxidants) that help protect the skin against sun damage. So, there we have it. 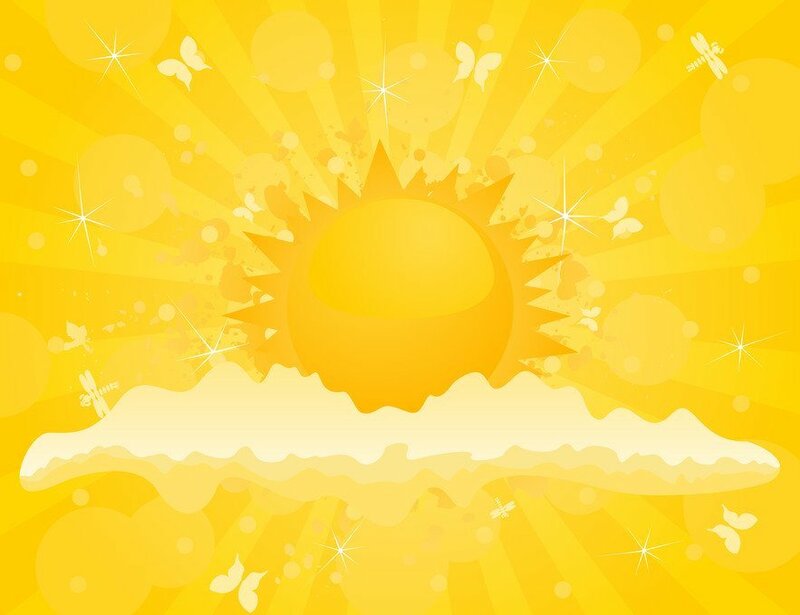 I hope this article helps you enjoy the summer sun safely and healthily! What did you think of this article? Have anything you’d like to add? Let me know in the comments below!